Special Selections range from $40.00-$45.00. 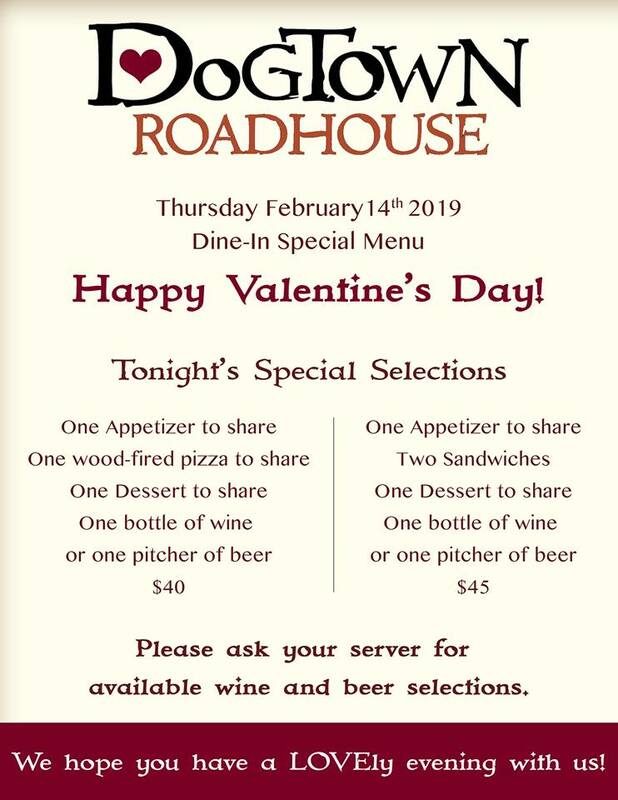 Dogtown Roadhouse presents Valentine's Day Specials on Thursday, February 14, 2019. Enjoy Valentine's Day with a special dine-in menu! 2. One appetizer, two sandwiches, one dessert and one bottle of wine or pitcher of beer for $45.00. To view the event flyer and daily specials, visit: https://i.imgur.com/rBbOdEr.jpg.